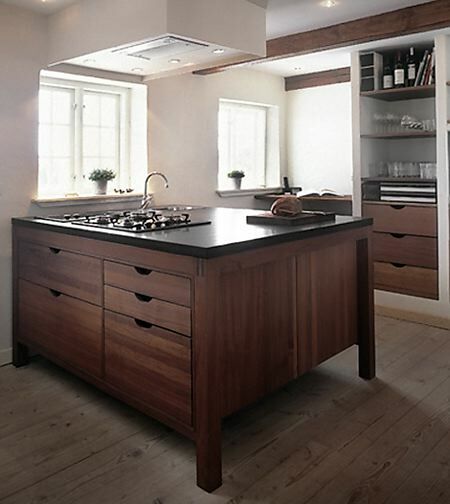 The kitchen design from Hansen Living is coming from Denmark. 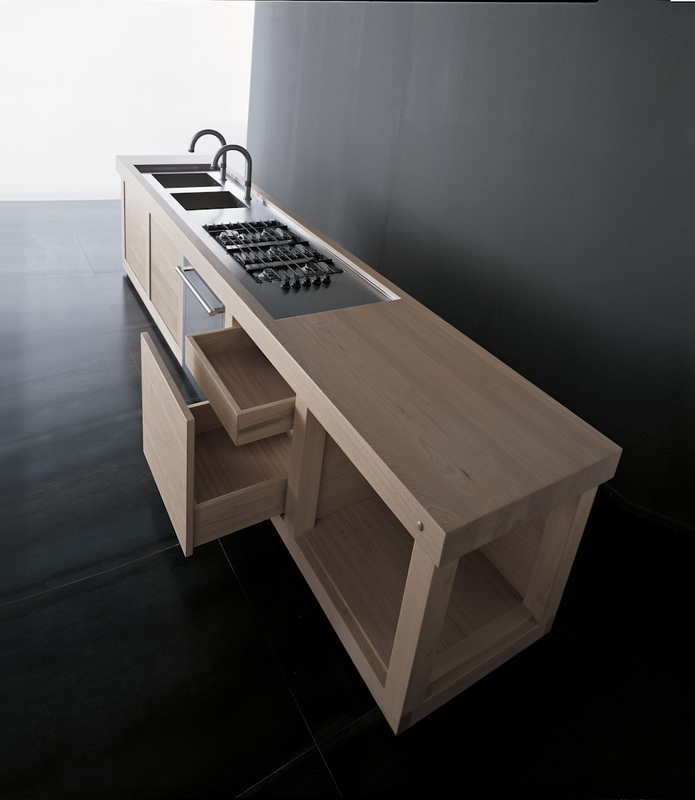 It’s made of solid wood (mostly walnut and oak) with minimalist and luxurious style. 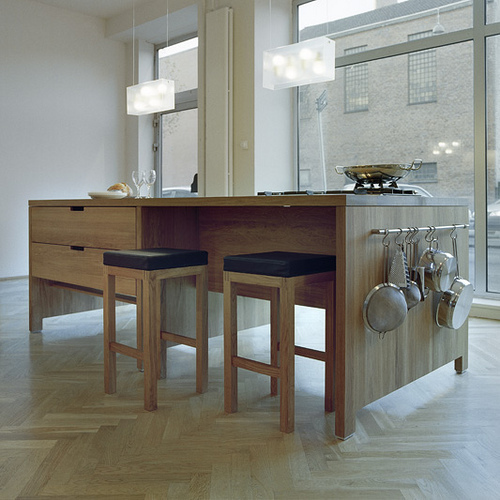 Hansen knows that the kitchen island is very core of the kitchen and the home, the kitchen island is where the food prepared, invites your family to gather around it so they do it with the highest quality. 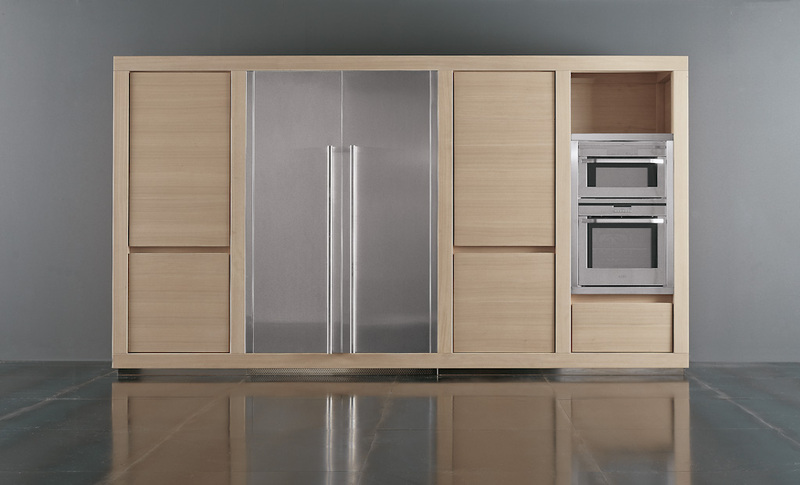 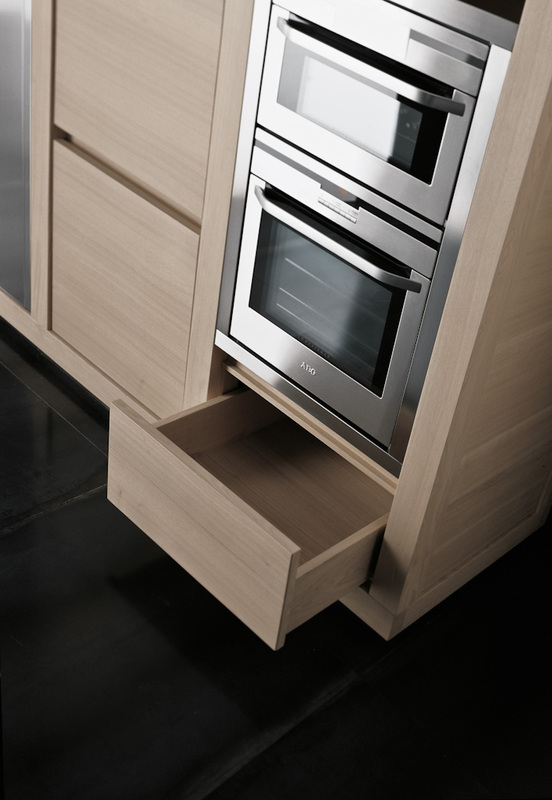 A Hansen solid wood kitchen features almost-forgotten features of craftmanship: tenoned joints have almost become a feature of the past, being too demanding for the automated furniture industry. 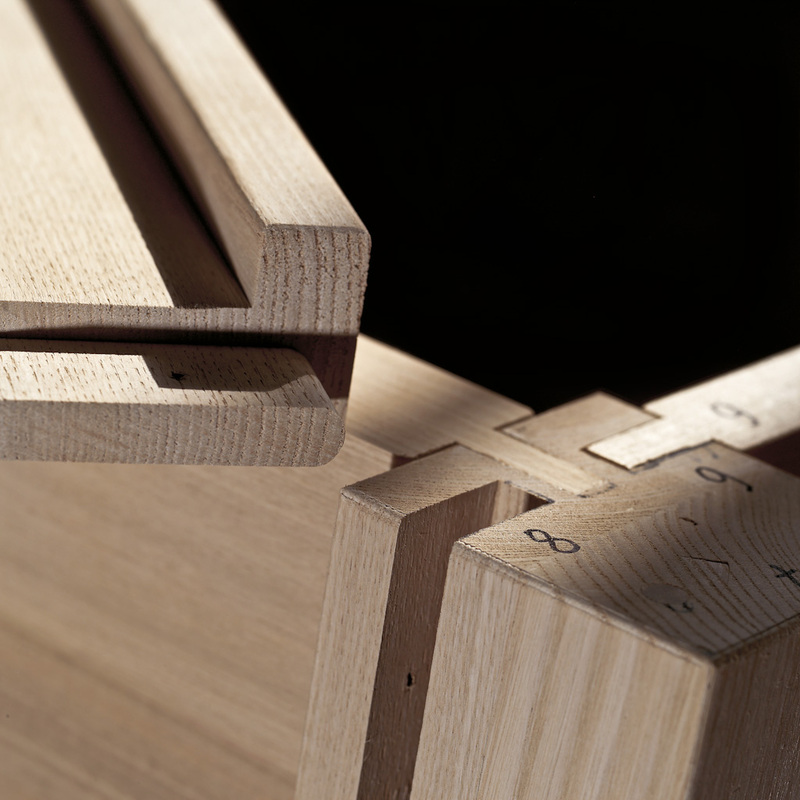 Not only are tenoned joints beautiful, they also offer exceptional strength and stability. 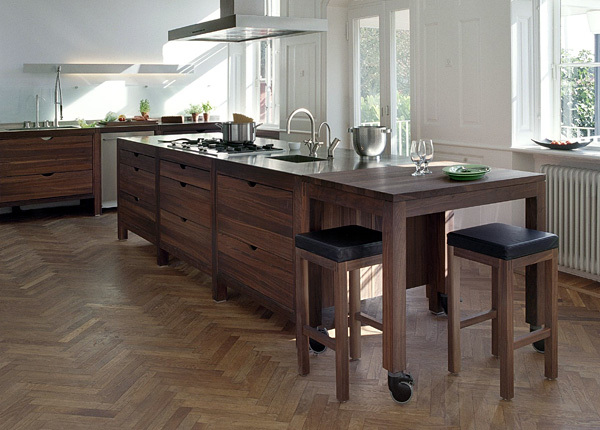 The signs of fine craftmanship and professional pride is found in each and every detail. 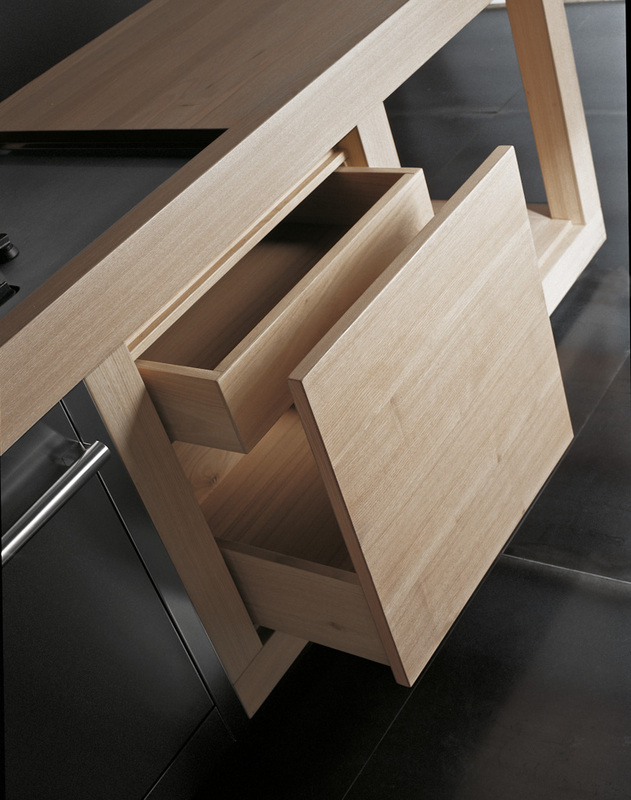 The drawers slide with meticulous accuracy and surfaces are carefully polished, oiled and polished again in order to reach that silky, smooth feeling. 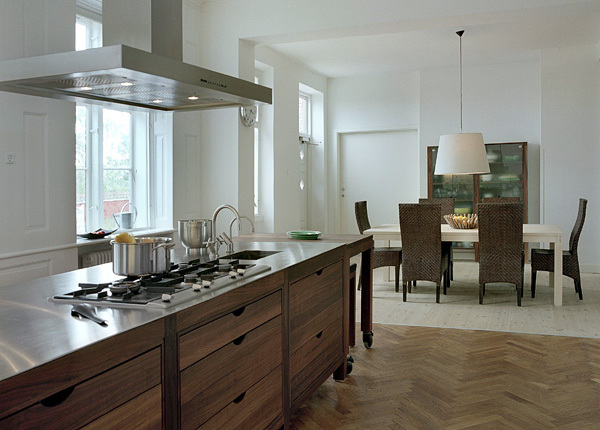 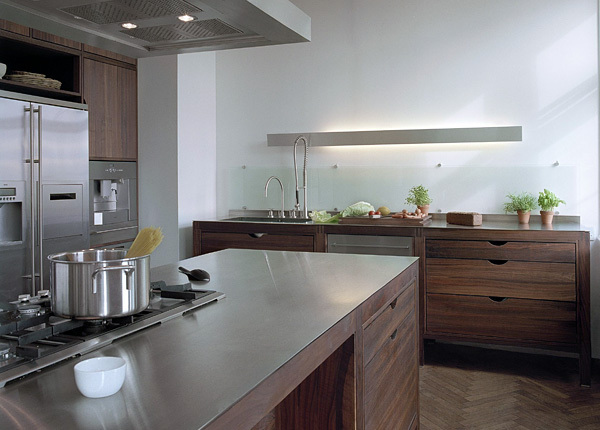 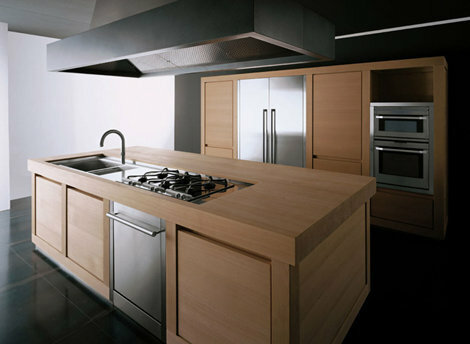 Effeti Cucine was established in 1963 in Italy, under the name FALEGNAMERIA TOSCANA. 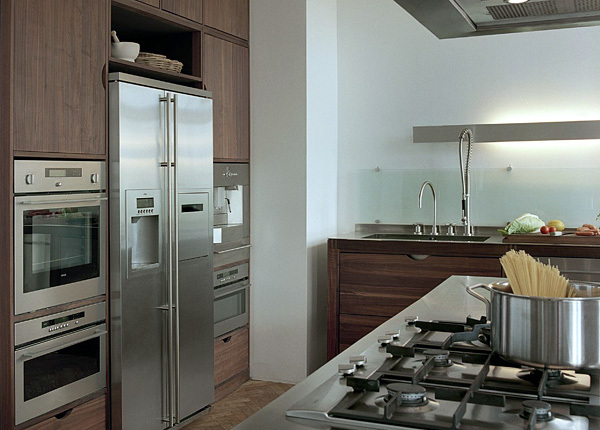 In the ’70s they have started to produce kitchens featuring famously sleek Italian design. 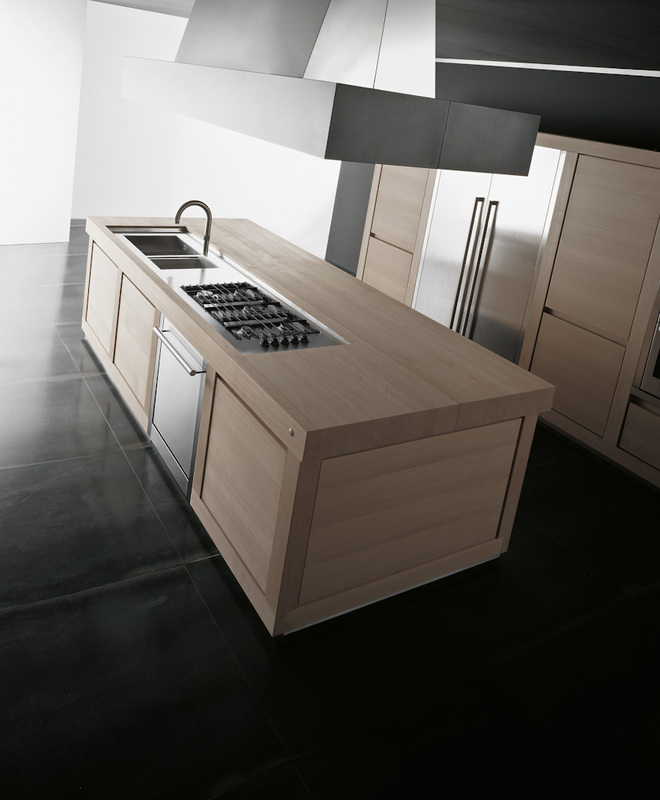 The Wood 100% is an impressive piece of solid wood kitchen furniture made from solid chestnut, the fruit of the collaboration of industry, represented by Effeti, and a carpenter, Tarpac of Lucca. 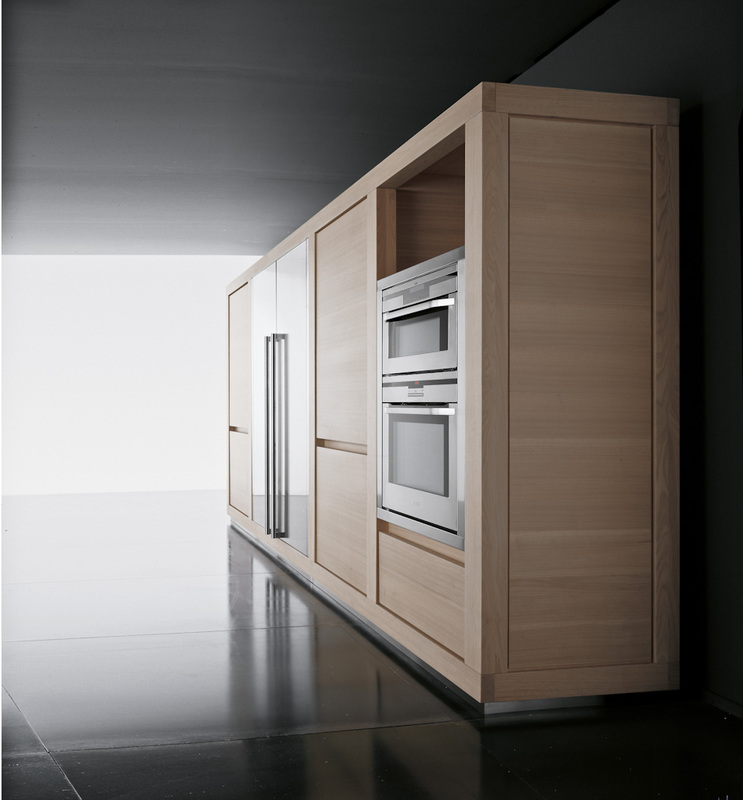 The cabinet-maker took every piece from the wood trunk and selected the most beautiful parts for each hand-made piece. 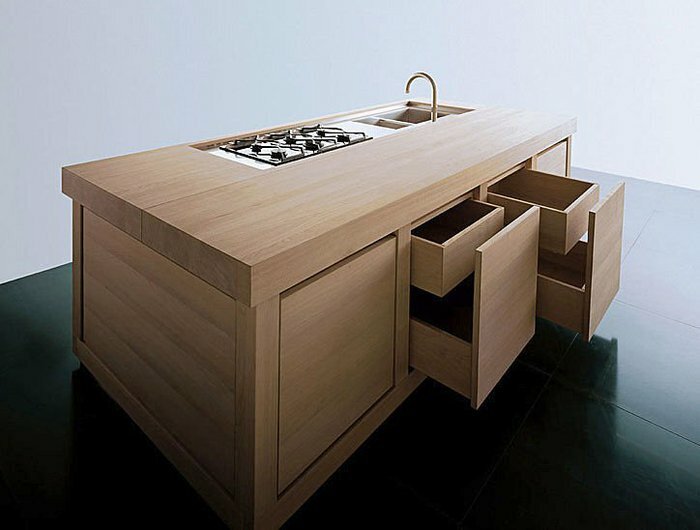 Effeti makes only a limited number of these kitchens each year.